Paola is a Principal at Arthur D. Little in our Houston office. She has extensive experience working with large energy companies in the Americas. Since joining Arthur D. Little in 2008, Paola has focused on economic and financial feasibility studies for the oil and gas industry, market studies, strategic planning, commercial and trading strategies, and energy policy analysis. She has advised private and state-owned oil and gas companies, as well as governments in many countries, with challenges related to transformation and value creation opportunities in the energy sector. 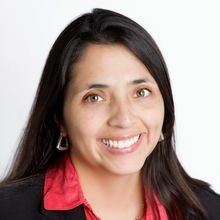 Prior to Arthur D. Little, Paola worked for the Colombian National Hydrocarbon Agency as an Energy Policy Consultant analyzing strategies to increase the private investment in the sector. She also has extensive experience assessing new investment opportunities for the Latin American private sector. international trading and performance management.